Buzzwords are a type of jargon, acronyms or fashionable words that professionals use frequently since they believe that using these words is trendy. Buzzwords are very popular in computer science, marketing and many SEO client websites. The problem lies with web visitors who may not be conversant with those terminologies. The complex expressions usually confuse readers. Since SEO writers stuff buzzwords into their articles or blogs their meaning often becomes vague and less precise. However, understanding these terms can be helpful if you are using your site for business. Here are some of the top SEO buzzwords that are often confusing to visitors. 301 Redirects: A 301 redirect is an indication that something has changed or moved location permanently. The instruction at the web server shows both the old and new location; the change can be a change of webpage name, domain name and so forth. Affiliate marketing: Affiliate marketing is hosting links, product information and banners on a website and getting paid a percentage of a sale each time users click through these links and make a purchase. In simple terms, it is just selling other people’s products or services for a commission. Aged Domain: An aged domain name is simply a domain name that has expired. Algorithm (Google): Google algorithm searches out Webpages that contain the keywords that people use to search, then ranking each page depending on a number of factors, such as how many times the keywords appear on the page and the quality of the content contained in the page. Anchor Text: Anchor text is basically the clickable text in a hyperlink. In simple terms, it means the words that make up or form a link. Backlinks: Backlinks is sometimes referred to as inbound links; they are incoming links to a webpage or website. Backlinks on other websites have been used by website owners to increase their website’s traffic. Black Hat SEO: Black HAT SEO is the process of using unapproved search engine optimization techniques, tactics and strategies that solely focus on such engines and not humans. A few examples of black hat SEO strategies include page swapping, invisible texts and keyword stuffing. Bounce rate It is a web traffic analysis which represents the percentage of visitors who visit a web page and then bounce (leave) without viewing other pages within the same website. Broken links: A broken link also known as dead link is a link on a webpage that does not work. This problem often occurs when the link leads to a webpage that has been moved or deleted. Canonical issue: A canonical issue occurs when you have two or more pages with the same content but URLs are different. The search engine will always consider that a duplicate page and may affect the ranking. Click-through Rate: Click-Through Rate CTR is the percentage of the number of times a visitor clicks on an online ad divided by the number of visitors who view the website that has the ad on it. For instance, if two of 200 visitors enter a particular website and click on the advertisement, then the Click-through rate of that online ad is 2/200 or 1 percent. Cost per action: Cost per action is an advertising technique where the advertiser is required to pay only when the advertisement makes a gaining. Cost Per Click (PPC): Cost per Click essentially means the money paid for each click in a Pay-per-click marketing campaigns. Cost per mile: Cost per mile CPM is a popular measurement used in advertising. It is also referred to as cost per thousand CPT, meaning newspaper, TV and Radio and online advertising can be purchased on the basis of displaying the advertisement to 1000 viewers. Do Follow Backlinks: Do Follow Backlinks is a common term that relates to blogs or websites that have allowed search engines to follow them. Domain Authority (MOZ): Domain authority shows how authoritative a domain name is, and it is often used to determine how a website will rank on Google search listings. You can use domain authority to determine the strength of your site. Duplicate content: Duplicate content refers to a content that appears in more than one place on the internet. When a similar content is published in different sites, it becomes difficult for search engines to decide which version should come first in the search engine results. Google Adsense: Google Adsense is basically an advertisement program that displays Google ads on websites. It is a simple way for web owners and publishers to earn money. Google AdWords: Google AdWords is another advertising program run by Google. It is also an effective way of increasing web traffic for businesses. Google Analytics: Google analytics is a free online analytical tool that helps website owners to build effective sites and analyze traffic. Google Webmaster Tools: Google webmaster tools are designed to let webmasters check index status of their sites. This helps them optimize visibility of their web pages or sites. Heading Tags: Heading Tags are typically used to divide up large documents. These tags are important because they are used by search engines to locate words that have more weight than the rest of the text in a page. Inbound Links: An inbound link or backlink is a hyperlink on another webpage that leads to a webpage on your website. These links are important for SEO because search engines usually see inbound links to a webpage as an indication that the content on that page is useful to readers. Keyword Density: Keyword density is the number of times a keyword is used on a web page compared to the total number of words contained in that page. Keyword density is a vital factor that plays a huge role in determining how web pages are ranked. Keyword Research: Keyword research is a technique used by SEO experts to research common terms entered by users into search engines when searching for something. SEO experts typically search for these common keywords or phrases to achieve better rankings in Google search engine. Keyword Stuffing: Keyword stuffing is a technique used by SEO experts to insert many keyword phrases into a webpage so as to increase the page’s ranking in search results. Keywords and key phrases: Keywords and key phrases are phrases placed in a website in order to boost ratings in the search engines. Link Baiting: Link baiting refers to an indirect way of building inbound links in a web page. Link baiting essentially encourage other people to link back to your site. Link Juice: Link juice refers to the number of hyperlinks that point to a webpage. This influences the site’s ranking since the more the link juice, the higher the web page ranking. Long tail keywords: Long tail keywords are a form of keyword phrase that has three to five words. They are typically less competitive and more specific than generic keywords. Meta Tag description: A Meta tag description is an extract of HTML code in a page header that shows a brief summary of the content that is on that page. Meta Keywords tag: Meta keywords tag works with Meta descriptions to increase search engine ranking, thus improving the visibility of a web page. Meta Tags: A Meta tag is coding statement in the HTLM that summarizes the entire content of a web page. Mobile Friendly Website: A mobile friendly website is a website that displays appropriately on mobile devices such as smartphones, tablets, iPads and iPhones. Creating a mobile friendly website has become vital due to the increased number of people accessing the internet through their handheld devices. Negative SEO: A negative SEO refers to the use of certain dishonest tactics to attack the website of competitors on search engines. For instance, one may decide to place links to the site of a competitor on several low quality article directory sites, thereby spamming the website. No Follow Backlinks: No follow backlinks as the name suggests are backlinks that prevent Google bots from following the link from one page to another. In other words, no follow prevent the page from being linked. Off Page SEO: Off page search engine optimization refers to techniques or strategies that are used by SEO professionals to improve ranking of a web page in the search engine results. Link building is one of the main techniques used to improve the ranking of a site. On page SEO: On page SEO refers to title, Meta, HTML Tag and code optimization. In simple terms, it refers to factors that have an impact on your webpage or website ranking in search results. Organic search: Organic search is a form of search engine optimization that is focused on improving the traffic towards your web site. It is a search that generates search results that do not contain advertisements. Outbound links: An outbound link is the opposite of the inbound link. They are links that send web page visitors away from your website. Page Authority (MOZ): Page authority is a scale developed and set by MOZ that shows how a page will rank on Google search results. Page Rank: Page rank is a technique used by search engines like Google search to determine how a web page should rank in search results. Page Titles: A page title is the as the name suggests is the title or name of a website or webpage. It can be a header, plain text title or a decorative clip art banner. PPC: PPC stands for pay per click is an online advertising method used to direct site visitors to web sites, where advertisers pay the web owner or publisher whenever the ad is clicked on. The advertisers will usually pay the publisher irrespective of whether or not a sale is made. Reciprocal Link: A Reciprocal link is basically performing a link exchange. In other words, it is the process of linking to other websites and allowing those websites to link back to your website. Robots.txt: Robots.txt is just a text file web owners place on their websites to tell search bots which pages they need to visit in order to index certain directories or files within their sites. SEM: SEM stands for Search Engine Marketing that involves the marketing of web sites by means of increasing their rankings in search engine results pages. This SEO marketing technique involves things like paid listings, competitive analysis, keyword research and other SEO practices that will drive traffic to a site. SEO: Search Engine Optimization better known as SEO is the process of increasing the visibility of a webpage or site in search engine organic results. It is the technique used to improve the search engine rankings. 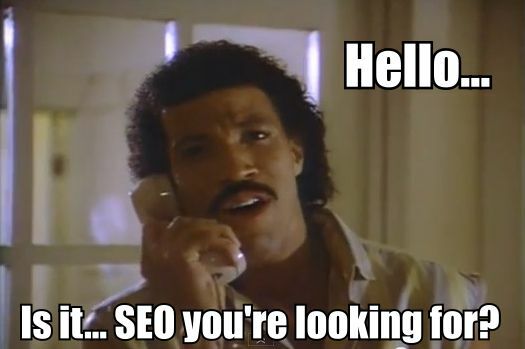 SERPs: SERPs basically stand for Search Engine Results Page. It is the listing of results you get after entering a keyword into the search engine. Site speed: Site speed refers to the load speed of a website or web page. It shows whether it is fast or slow. Sitemap.xml: A site map is a file where all pages have been listed to inform users and search engine about the organization of your website contents. The list of web pages is usually accessible to users and web crawlers. Social Signals: It is quite amazing to know that Google also relies on social networking sites to rank websites. Search engines normally look at the number of likes, comments and shares before ranking web pages. Spider/Google/Crawler: Search engines usually use programmed software called spiders or crawlers that crawl the web and move from page to page. These spiders normally visit the web to search for new pages so that they can scan and index it. White Hat SEO: White Hat SEO is another SEO jargon that refers to the utilization of optimization tricks, techniques and strategies that solely focus on real humans rather than search engines, and totally adheres to search engine policies and guidelines. White HAT SEO technique is widely used by website owners who want to make a continuing on their sites. It should not be difficult to see how those buzzwords are confusing. Do not let such jargons confuse you again. Did I miss any buzzword that you use? Leave a comment below and I’ll add it to the list.